Equity's Rancho Cucamonga apartments ideally located for Frito-Lay, Amphastar Pharmaceuticals and Chaffey Community College employees. You are also less than 10 minutes away from the Ontario International Airport and have easy access to the I-10, I-15 and Foothill and Chino Valley Freeways. These spacious Rancho Cucamonga apartments are close to shopping, schools, parks, restaurants, entertainment and public services. Our Rancho Cucamonga apartments locate you in a marvel of traditional commerce and urban town design with lush landscaping laced throughout the main shopping district. The 570-seat Victory Gardens Cultural Center produces theatrical performances all year round and also serves as a celebration hall for many community occasions. 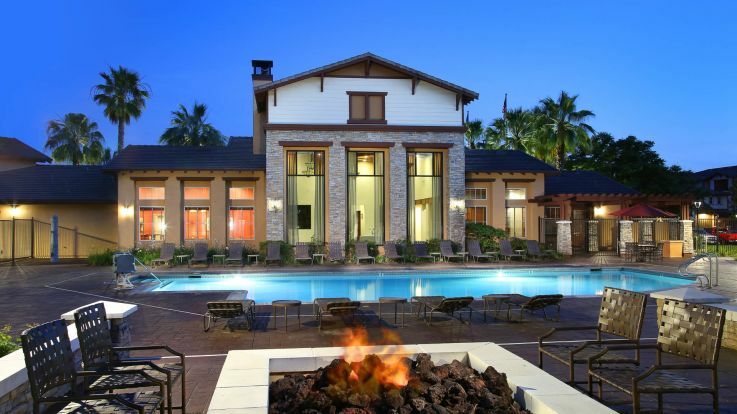 Residents of our Rancho Cucamonga apartments know that Rancho Cucamonga is at the nexus of several famous trails: the Mohave, Old Spanish and Sante Fe. It was also on the old U.S. Route 66 which ran, as the song says, “from Chicago to L.A.” Its strategic location makes the city, along with Ontario and Fontana, centers for the logistics industry. A seven-square-mile section of the city is set aside for distribution centers and manufacturing companies. The economy is enhanced by banking, financial and other corporate concerns. Our Rancho Cucamonga apartments are meticulously maintained and include great features like spacious closets, private balconies, ceiling fans, air conditioning and in-uniit washer/dryers. Our pet-friendly apartments also include fully-equipped kitchens with modern appliances. Rancho Cucamonga apartments amenities include clubhouses, business and fitness centers, swimming pools, barbeque and picnic areas, playgrounds, walking trails, reserved parking and attentive on-site management. Start making the most of life in the sun in one of Equity's luxurious Rancho Cucamonga apartments. Or if they do not meet your needs, take a look at our other properties in Chino Hills and Riverside.